Cover panel for screen legs arrowed, simply pop-riveted into position. 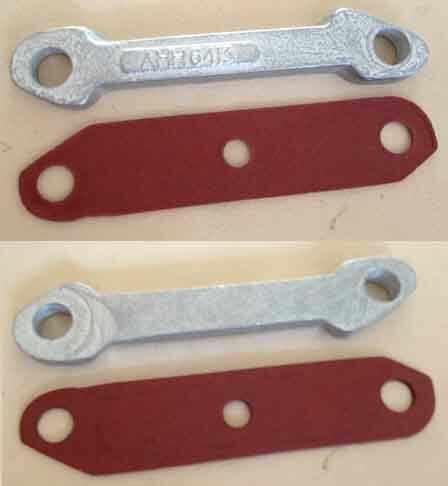 Current-stock packing piece (top) and shims: Note the raised lettering and plinth that needs to be ground off before fitting. The irony is that the other side seems to have a boss, at one end at least. If the lettering were on a side that had two raised bosses it would be fine. 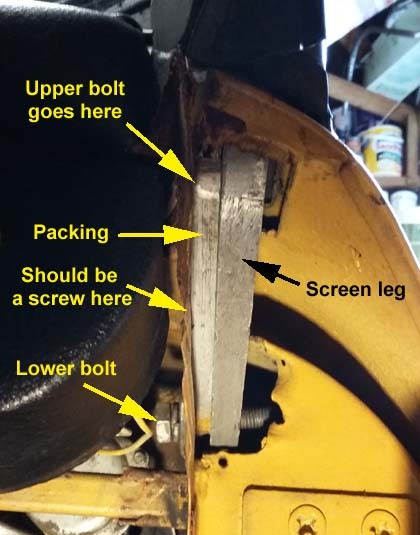 Also note the lack of central hole on the packing piece, which is usually used to secure it and the shims to the body to hold them in the right place to get the bolts through. 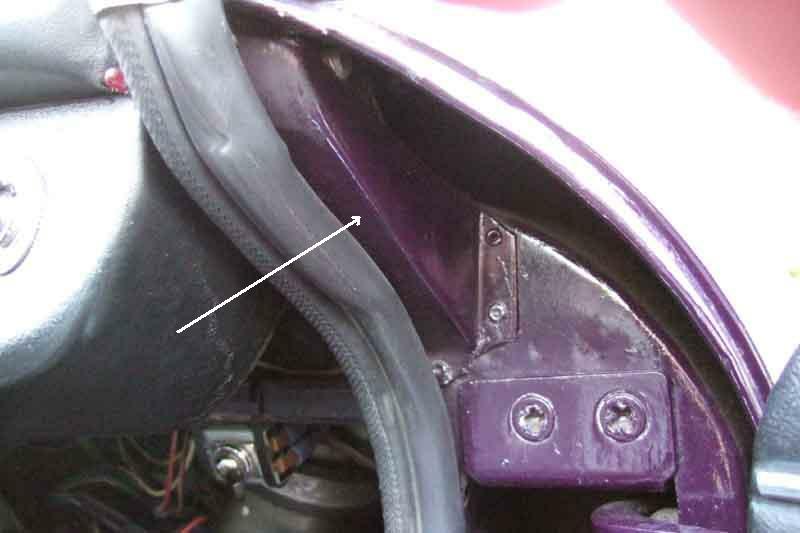 The bolts go through the body panel, then shims (qty. to suit), then the packing piece, into the screen leg. (Photo from Terry Cooper).